From the all-in-one solution of disk space analyzers to macOS’ own built-in offering, we’ve found the best ways to keep your system in tip-top condition. Most of the things that take up disk space on Mac can’t be seen from a top-level overview, but it’s worth keeping a close eye on how much space you have available. You can do this by clicking on the Apple icon in the top-left corner of the screen and selecting “About This Mac.” Select “Storage”, and you’ll see where space is being taken up. 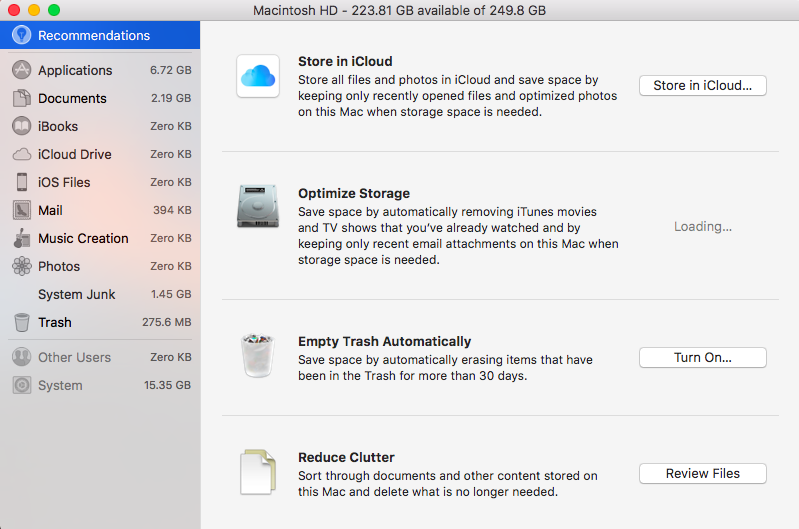 If disk space is at a premium, turn to the following apps to get rid of the things you no longer need, using a Mac disk cleanup. Disk space analyzers are fantastic tools for finding out what is taking up so much space on my Mac. CleanMyMac is the go-to disk space analyzer for over three million people worldwide, particularly for those who want to know how to free up space on your Mac? And for good reason — it does all the heavy-lifting for you, leaving you with the simple task of clicking a single button to free up space. 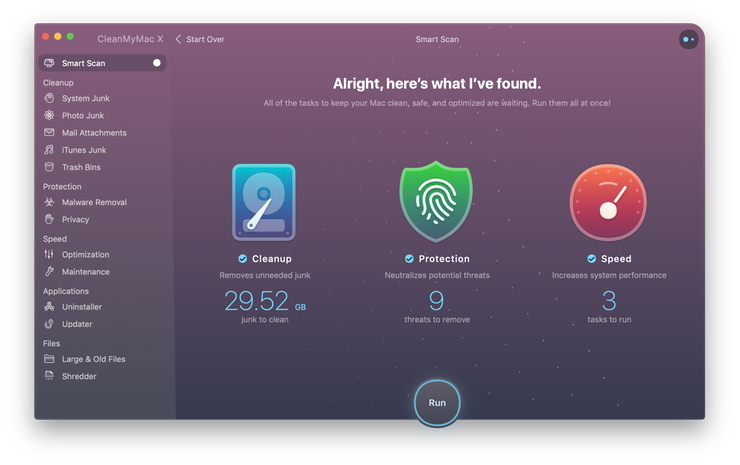 The app uses a “Smart Cleanup” feature to perform a deep scan of your Mac, analyzing the System, Large and Old Files, Mail, iTunes, Photos, and Trash bins, freeing up 64GB of space on average. Without an effective disk cleanup Mac, you could end up with too much junk taking up too much space. Using the CleanMyMac Dashboard, you can check the disk space and free up RAM, ensuring your Mac runs smoother and faster. 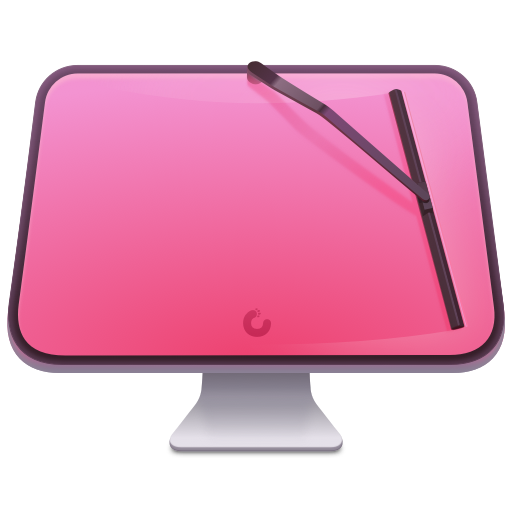 Launch CleanMyMac X (download it for free here). In the sidebar menu, there are options to scan and clean applications individually using the same “Scan” and “Clean” method. Duplicate files such as edited documents, photos, or Photoshop files can accumulate rapidly. But they’re hardly ever needed. Rather than trawl through your system trying to perform a disk cleanup manually or risking the loss of potentially useful files in a blanket cleanup, use Gemini to find and delete files safely. 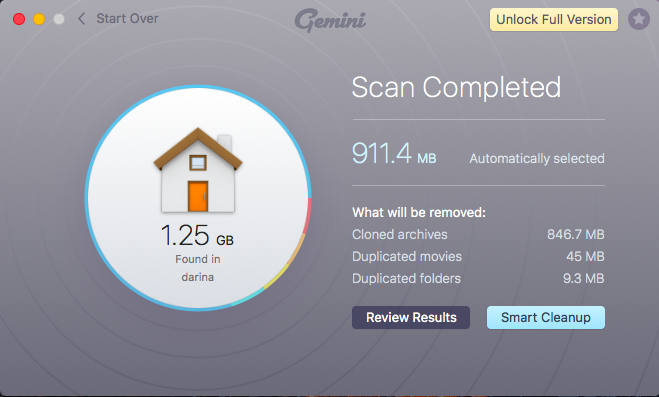 Like CleanMyMac, Gemini has its own “smart” scan and cleanup feature to speed up the process. The app works through your photos, iTunes, documents, and files to find duplicates that can be removed. It also picks out similar files that probably don’t warrant two copies. Everything that Gemini finds is placed in a neat interface where you can examine individual files to decide which to keep and which to purge. If something is deleted in error, you’ll still be able to find it in amongst recently deleted files for quick restoration. Disk Drill can see how to check disk space on Mac. Disk Drill does exactly what its name suggests: drills down into your disk to analyze and help you visualize what’s hogging space. From a familiar Mac-like interface you can delve into files and delete anything that isn’t needed in a few clicks. There’s also a useful feature that lets you clean up local folders that are synced with your Google Drive or Dropbox accounts, as well as the ability to identify and remove duplicate files à la Gemini. If you want to keep a close eye on system performance and carry out a Mac disk cleanup as soon as available space is under threat, Disk Drill includes a feature called S.M.A.R.T. Once enabled, S.M.A.R.T monitoring tracks space, performance, and drive temperature from an icon on your desktop. Finally, to make sure things keep on ticking over nicely, make use of macOS’ own Optimized Storage feature. This is another way to see how to check free space on Mac. Granted, this feature doesn’t offer the heavyweight cleaning capabilities of a CleanMyMac, but it’s useful nonetheless. By clicking on Details from within Storage, you’ll have access to four features: Store in iCloud, Optimize Storage, Empty Trash Automatically, and Reduce Clutter. While emptying the trash and reducing clutter are simple ways to free up a small amount of space, Store in iCloud is the outstanding feature. This allows you move items from local storage and save them to your iCloud account. From Store in iCloud, simply check the boxes for Store files from Desktop and Documents in iCloud Drive and Store photos and videos in iCloud Photo Library. All of your files will then be synced to the cloud. You can then use a Mac disk cleaner to get rid of the locally stored duplicates. The Optimize option is also useful if you happen to have movies or TV shows that you’ve watched on iTunes. By enabling Optimize, previously watched media will be automatically removed from your computer and kept in iTunes where you can download them again if you get the urge to give a show a rerun. A full hard drive results in a slow running, overheating Mac. The best way to keep your system running smoothly with plenty of room for files is to keep on top of disk space. Use these apps to analyze disks and perform routine cleanups.